The beautiful coach on the cover of May’s Volume of National Bus Trader Magazine sure looks familiar, doesn’t it? That’s right! It’s our gorgeous HT-45! Not only did CHTC get the cover treatment, but we were also featured in a full-spread article. Readers have been asking for more information about our company. Now they’ve got it. As the article reports, CHTC makes waves once again. We spent our first year in the US gathering feedback and data from operators of our first generation of coaches. It’s always been our goal to manufacture the perfect luxury coach, so this feedback is essential to our mission. Our second-generation coaches are more refined. They’re specifically designed to be the ultimate choice for the American market. The effort really shines as we offer some of the most competitive prices in the industry, without skimping anywhere. 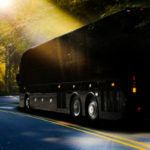 National Bus Trader discusses our journey from establishing our base in Chino, California, to our expansion of our full service centers throughout the US, starting with five in the busiest areas of LA, San Francisco, and Dallas/Fort Worth. That’s not all there is to it, though. 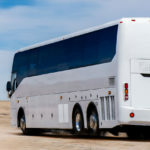 The article covers the history behind our coaches, and our unique, modern business model. Our coaches are made with 55% American components, alongside high-quality parts from Germany and Canada, and Supagal steel from Australia. Only the best goes into our HT-series. After selecting the best parts, our coaches are expertly manufactured in Jiangxi, China. 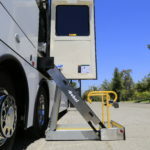 The specialized facilities there have been manufacturing coaches that exceed US, Australian, and European safety regulations for over 30 years. This approach affords us a unique opportunity in the American market to provide high quality goods at low prices. We took to the ground running. We’re glad to see everyone noticed our dedication and determination. This year, CHTC aims to bring even more excitement to the market as we further improve our coaches and offerings. Hard work always pays off. The increased interest in our company and the enthusiasm consumers have displayed is a fantastic demonstration of that fact. As always, we’re making the rounds at tradeshows all around the country. If you’re curious, come see what all the commotion is about. 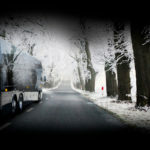 We’re glad to give you the deluxe tour and discuss what’s to come. Will you be at CBA in October? If so, stop by and take a look. We can’t wait to see you all. We look forward to hearing your feedback again. However, if you can’t wait that long to reach out to us, give us a call at 1(800) 216 – 6788. Thank you for all the love and your interest in our HT-Series coaches! Haven’t seen the article yet? Check us out on pages 14-15 in the May issue of National Bus Trader.